Slightly later than planned, we're back with our annual reflection on last year's predictions while also launching ourselves into the maw of 2018 not too far afield from the Constellation and the Doomsday Machine. So to last year and those lovely guesses (seriously they were stabs in the wind if ever I saw some). First up we looked at The Next Generation hitting its 30th birthday. 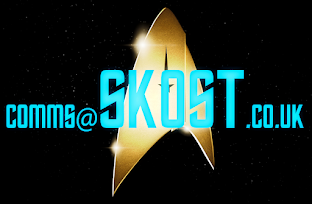 Due to time restrictions - that and adding to the family - the end of last year was a bit hit and miss for SKoST which meant I didn't get to cover The Next Generation's 30th anniversary in anywhere near the depth I would have liked. To be fair though it was overshadowed by the fact that some show called Discovery premiered the same week and pretty much eclipsed it. Deep Space Nine's What We Left Behind lost it's director in Adam Nimoy and filmed ahead of its planned 2018 release and there were lots of fundraising announcements throughout the year. Hope the results are out soon because this is one no fan will want to miss. We also predicted a good year for Eaglemoss but didn't expect it to explode the way it did with the Starships Collection now set to hit a whopping 160 issues plus at least eight bonus issues, nine specials, four XL hero ships (so far), three shuttle sets, three Mirror Universe craft...and what else is to come? A big year however the regular issues did flag with a lot of filler and one-ep vessels appearing. 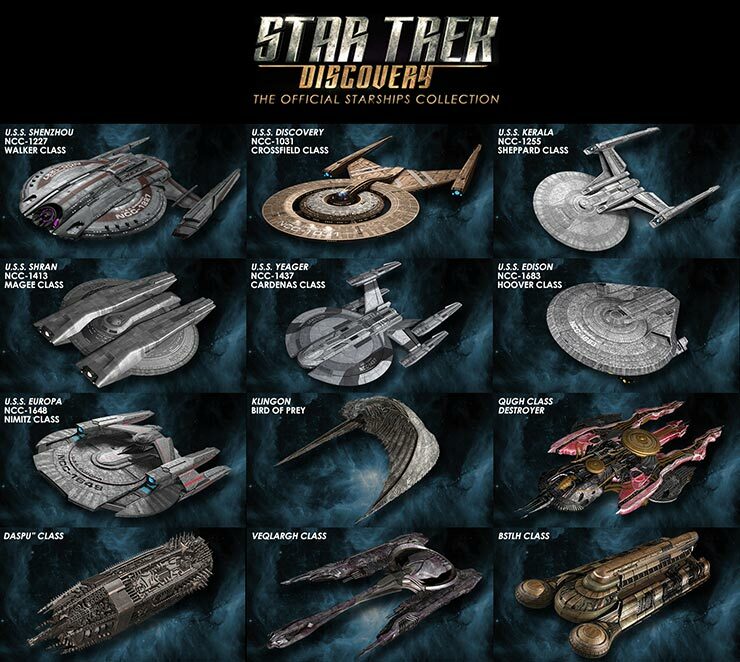 A wide and varied collection which was accompanied by the ongoing graphic novel collection and the announcement of the Discovery Official Starships Collection to start early 2018. Let's leave last year and our rather flexible predictions of what to watch behind. 2018 has now arrived and before we get into February, here's my top tips for the year ahead...maybe more successful a list this time huh?! The show that split fan opinion has returned after its Christmas break for ‘Chapter Two’ and the second half of its first season. It's been a whirlwind of epic proportions every week and as I write there are just two more episodes until the full season finale. Were the delays worth it? Yes, because it’s all been about the quality and it shows on the screen each week. 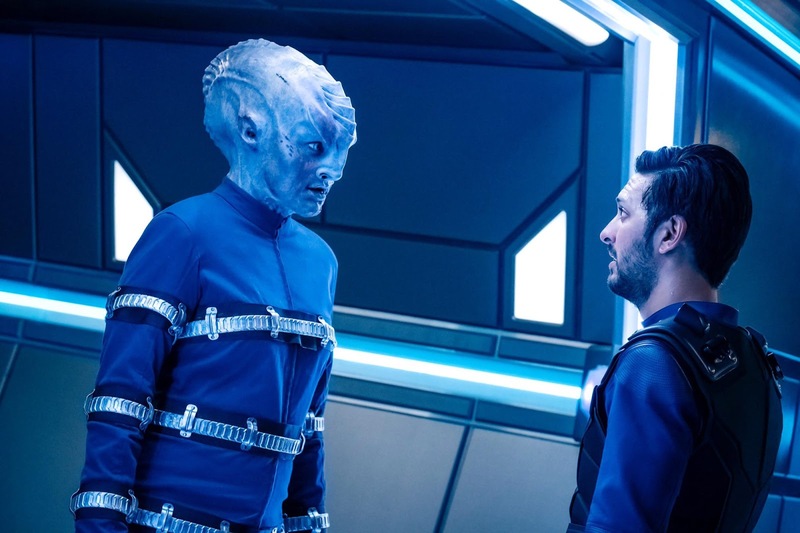 The show wraps in six episodes and the next season is due in 2019 but don't despair because Simon and Schuster will be publishing at least two new Discovery novels this year. My question is when will we start seeing some crew figures available a la Diamond Select? Where's the merch? When will we get season two?!!! R-rated? The darkest, most graphic Star Trek film ever? I’m not passing judgement yet however it would indicate that the news of Chris Hemsworth’s return as George Kirk might be done and dusted if this is the case. News is that this is flying at the moment with Paramount genuinely interested in seeing what possibilities they can make work to the point where there are actual screenwriters attached to the project. 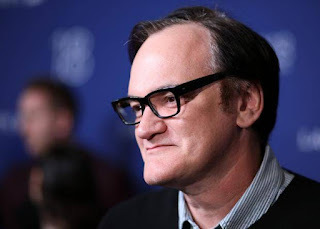 It's a bizarre and attention garnering news story and I don't know if it's a good or bad thing at this time even if Quentin is a huge fan of the franchise. Well worth keeping an eye on throughout the year as we might receive a new movie in 2019 all going well. Might not be able to take the kids to see it mind. Alongside this we can also note the rumours of a re-merger of CBS and Paramount which would bring all the Star Trek elements of TV and film back under one owner and make the universe a lot easier to manage. 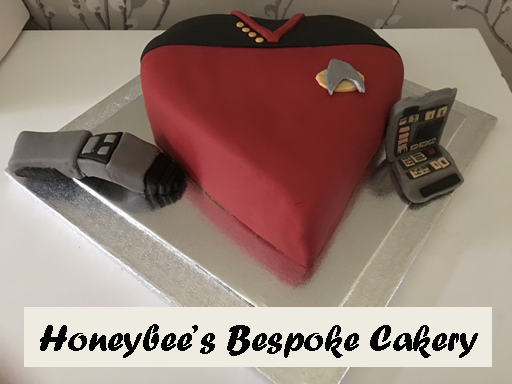 Thirty years of Deep Space Nine, the return of Star Trek to the TV and at least three of it's cast and guest cast appearing, Shatner back in the UK, a whole weekend of Trek indulgence...what more could a fan want? The last event was great fun and while I couldn't manage the whole weekend last time I'm definitely up for it this year. 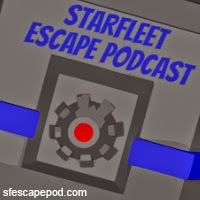 Not just that but there will be guests from Discovery and who would want to miss celebrating the 25th anniversary of Deep Space Nine in the presence of some of its legendary cast?. Set your clocks for October because this looks set to be the biggest Destination events ever in both locations. 4. Rebirth of the fan film? 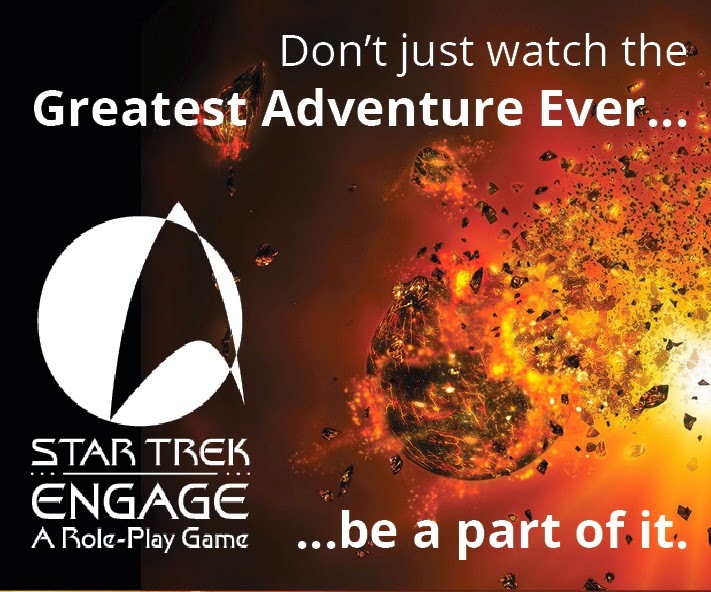 Now that the dust has almost settled after the Axanar fiasco, 2018 might be the year in which fan films make their reappearance on the block. Gone are the heavyweights of New Voyages and Continues, cut short by the rather restrictive fan film guidelines leaving the way open for more one-offs, short fan movies and daring new ways of storytelling. There are some notables out there including Pacific 201 but none have broken cover as yet. 2018 might give us some new stars to celebrate. 5. 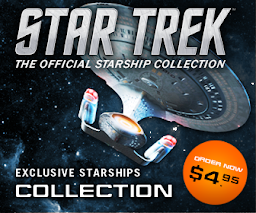 New Collection from Eaglemoss? 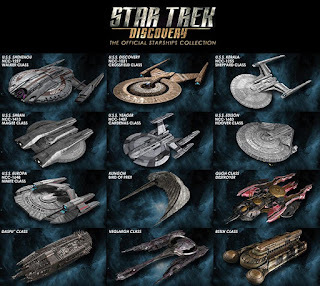 Perhaps a long shot since 2018 will see them running the Starships Collection, Graphic Novel Collection and the new Discovery Official Starships Collection all at the same time. Given the varied quality and reliability of deliveries and/or customer service, three might be tipping point but surveys sent out would indicate that Eaglemoss are looking to add to what must have been a successful and monitarily beneficial licence acquisition. Crew busts anyone? Part-work USS Enterprise-D perhaps? Just a couple banded around in 2017 but no more word as yet. Might be worth steadying the ship for this year and embarking on something new in 2019. 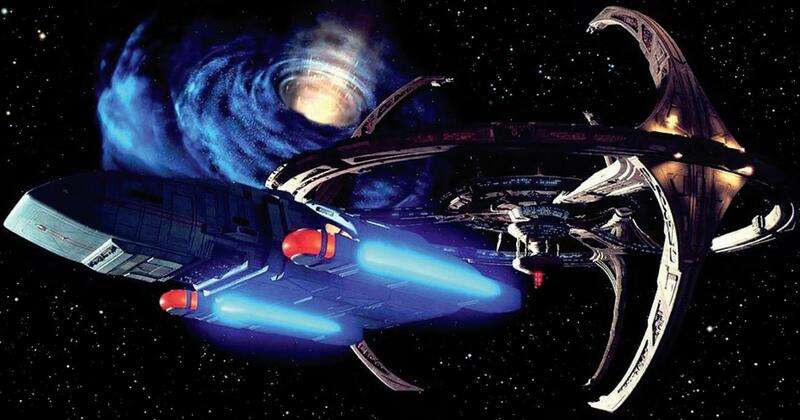 As a big Deep Space Nine fan this is a huge anniversary for the third and most maligned of the Star Trek series. It will be overshadowed by the closure of Discovery's first season however it's a monumental occasion that should be celebrated and I would argue it should be recognised for its individuality and ground-breaking storytelling more than The Next Generation. 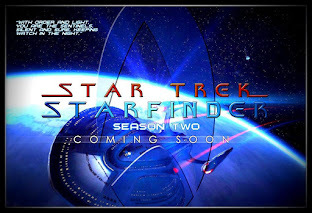 I would like to see this series really represented and celebrated at Destination Star Trek this year. The Star Trek novels calendar is looking a bit thin for 2018 with less than a handful scheduled in. News has it that there's been a renegotiation which has brought the Kelvin Timeline into the fold. Could this mean seeing those long-lost Kelvin Timeline novels from 2010 finally published or are we due a whole new raft of titles? It would make sense for the four written to be run out and test the waters from there. 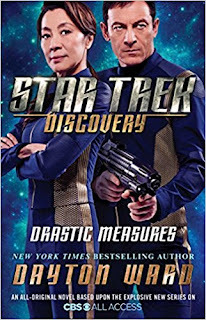 Plus we will be seeing the second and third novels from the Discovery line which will continue to act as unofficial prequels to the TV series. 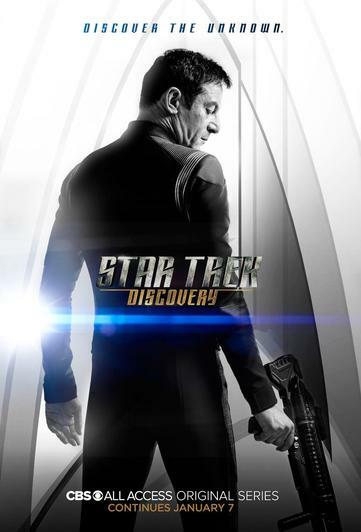 What do you think will be the big Star Trek stories of the year?